To limit your internet speed to test GSM, HSCSD, GPRS, EDGE, UMTS or HSPDA open Run -> Run Configurations. 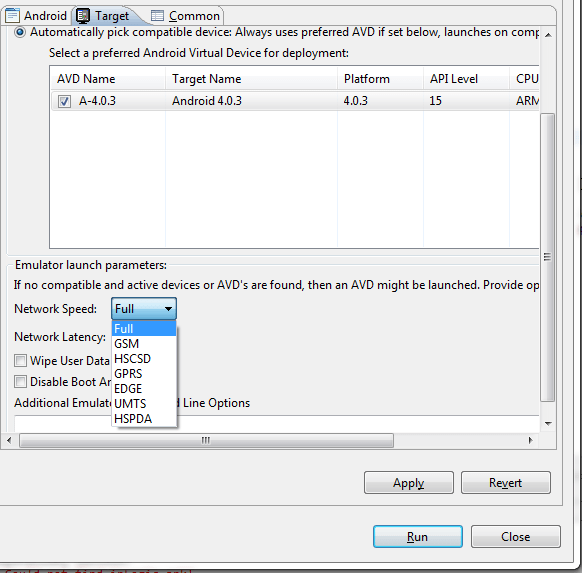 Select the application and press Target, select the Android Virtual Device. Under Network speed select the desired connection. Press Apply and Run. Now the emulator will run with e.g. EDGE.